Look up to a place beyond imagination. Where the few with a vision, never knew the definition of “can’t be done.” And where human determination was not measured by monetary gain. But by an ardent desire to get somewhere first. Ohio. The owners of the sky. Where the American spirit lives on. Flyer Red. 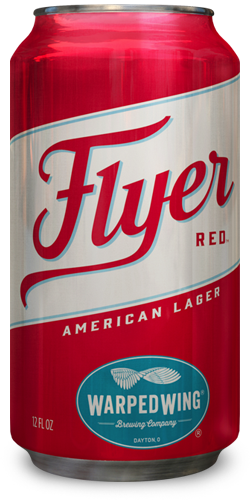 An American Red Lager. A refreshingly smooth, patiently-fermented beer. Good things come to those who wait.